The Horton Ho IX twin-jet tailless fighter-bomber,starting in 1942, the first prototype Ho IX VI was found to be unable to accommodate the two intended BMW 109-003-1 turbojets owing to an unforeseen increase in engine diameter, and it was therefore flown as a glider at Oranienburg during the summer of 1944. It's already available for YSF here: http://ysfinder.net/index.php?category= ... tegory=ASC Though I'm not saying flamerboy shouldn't make another one, the more the merrier! Anything to improve on the junkyard quality is welcome. Horten Ho-229 wrote: Izat sum Who I hear thar? I wouldn't mind seeing that in YS too! 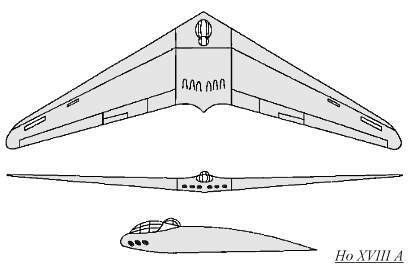 Horten Ho 229...the Germans designed this to be the worlds first ever radar stealth-bomber. Wow. I hope this comes out one day! KiwiCommando wrote: Horten Ho 229...the Germans designed this to be the worlds first ever radar stealth-bomber. Wow. 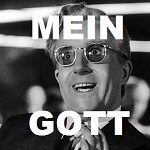 We can't confirm that it was designed it to be intentionally stealth, due to their lack of material at the time. 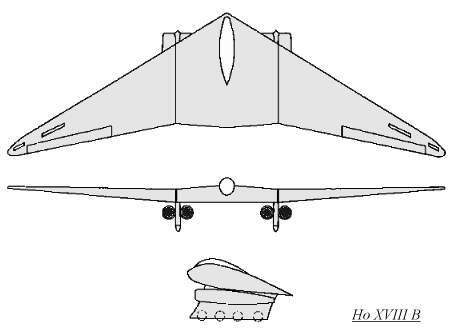 Also, it's more of a fighter than a bomber, however there were bomber variants designated the HO-18A and HO-18B. Made a bit more progress, but still a long way to go. I'm just dropping by, dumping something that might be useful for you guys. A decent Ho 229 3d model made in Google Sketchup. Complete with cockpits, engines, landing gear and spoilers(i think). 2 or 3 years back I once messed around with it and this model was above average in terms of details and quality compared to others. I'm making an A-12 now. Would be awesome to have this flying next to it! If you got a mesh, I'll YS-ify it for you! It'll be nice having something a little prettier than the TMP A-12, can't wait! Horten is done (see current projects). Just needs an instrument panel in the DAT. Flies like a brick though.